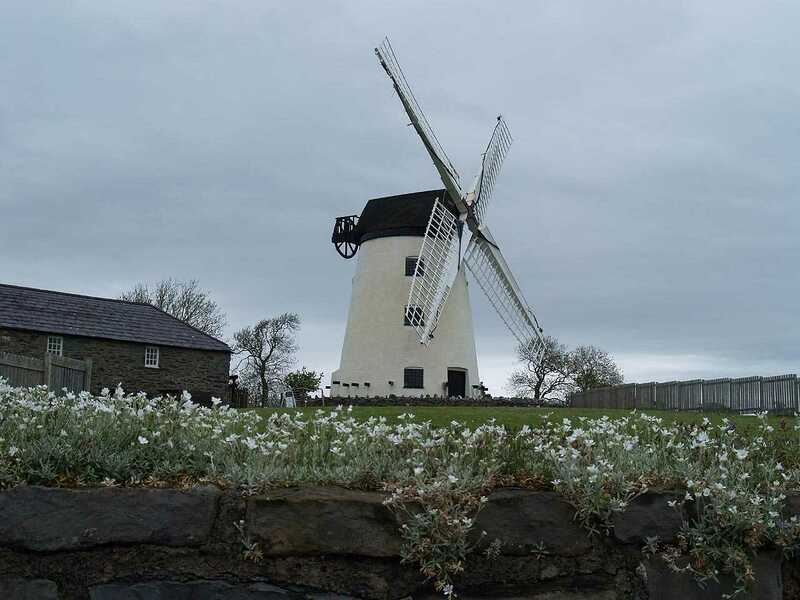 Llanddeusant, Melin Llynnon Windmill - on the Isle of Anglesey (Ynys Môn) in North Wales. 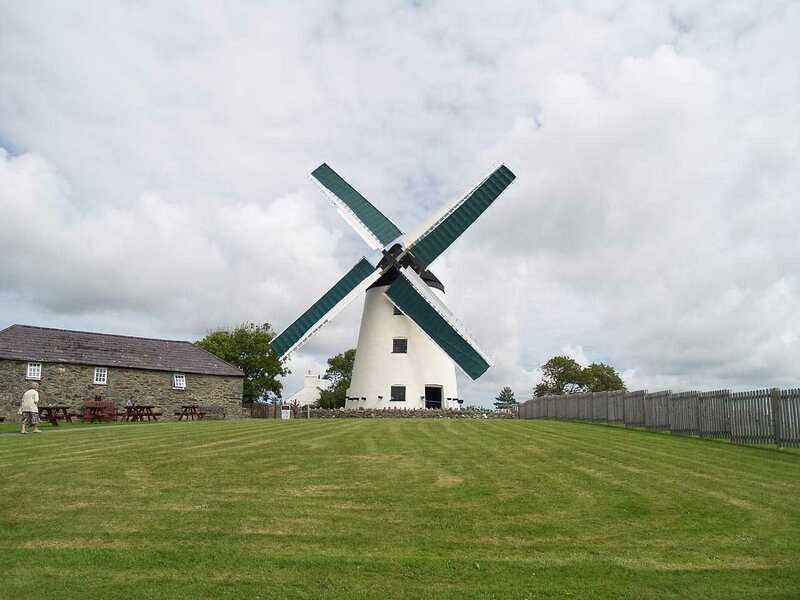 Melin Llynnon Windmill was opened as a Corn / Grist Mill, in the same year as the American Independence (1776). (Melin in english is Mill.). (Llanddeusant in english translates as the Church of Two Saints). By 1881, the Mill was owned and worked by spinster and bachelor siblings, Ann and William Jones, who farmed 58 acres, and also ran the Mill. In reality, their nephew - William Pritchard - was actually the Miller. The couple are described as employing 3 men and two boys to help run their Farm and the Mill. 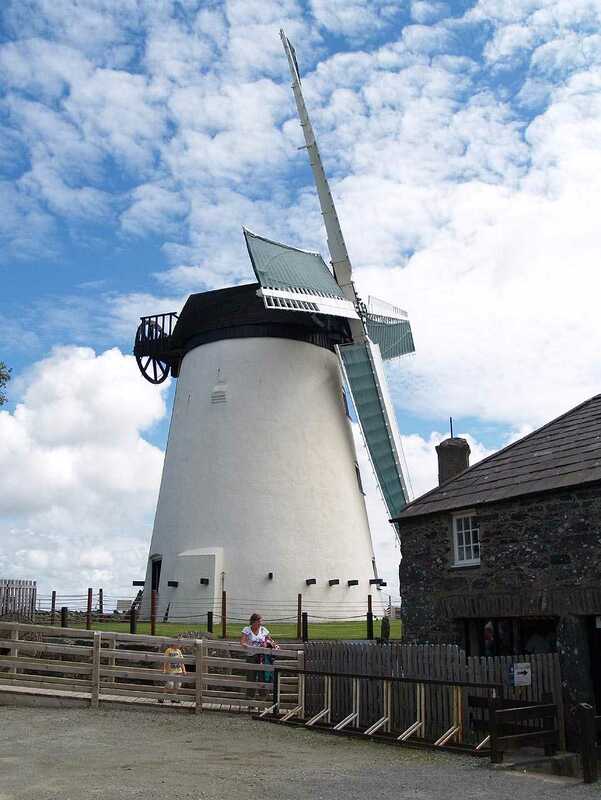 Severely damaged by a storm, Melin Llynnon Windmill came to the end of its' working life in 1918. In the 1950's, it was decided to select one of the better preserved Windmills of Anglesey to be restored to working condition. There were several possibilities, but the potential cost was an essential factor. With this in mind it was decided that another important factor would be the amount of interior working parts which were still in existence, thus ensuring a good saving - to repair was better (and more authentic) than to buy new. 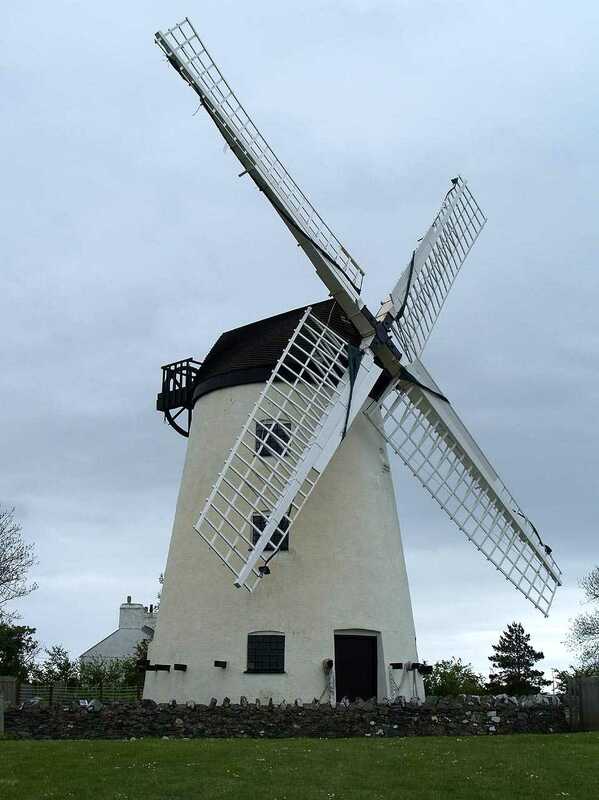 One of the Windmills that was supposedly inspected, was Melin Yr Ogof Windmill in Kingsland, Holyhead. The report came back that there was no machinery in that Mill. In fact, to this day (2009) the almost complete neccessary machinery still survives in the Mill. 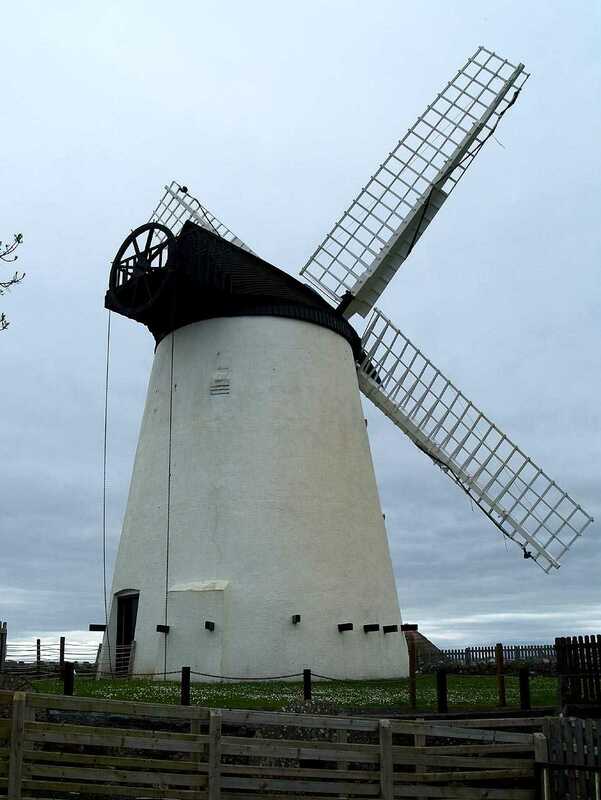 So, it was decided to restore this Windmill at Llanddeusant (although not till the 1970's), and it was only due to an error that it was not the Mill in Kingsland, Holyhead. 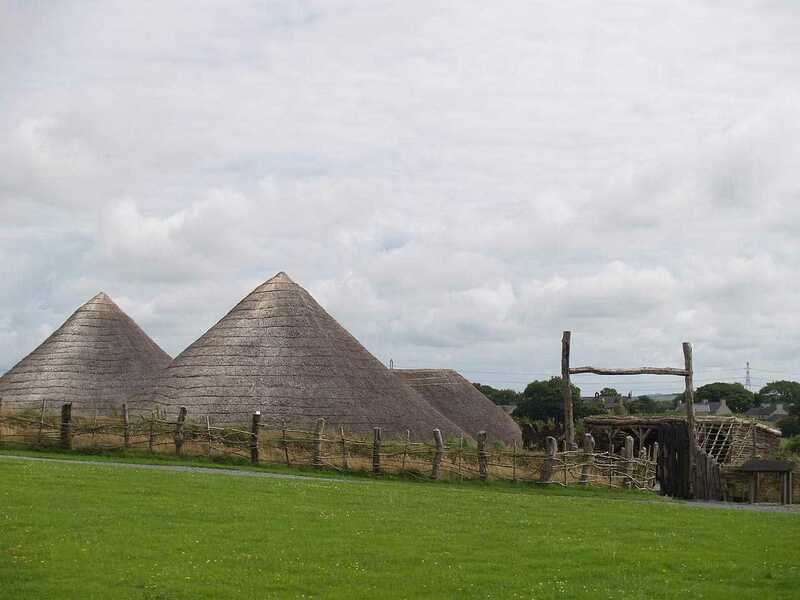 The Mill, which now regularly produces flour, is a popular visitor attraction on Anglesey, and the addition of some authentic Iron Age Huts has added to the visitor numbers. Llynnon Windmill boasts to be the only working Windmill in Wales.